Jason Antoine started his criminal defense practice in 2008 with the purpose of providing superior representation to the people of Delaware and Chester counties. Jason has successfully tried and won high stakes criminal cases both as a prosecutor and a criminal defense attorney. Since Jason left the District Attorney’s Office, he has been vigorously representing defendants in Delaware County and Chester County, Pennsylvania. He has been referred to as “a superstar” and an “excellent attorney” by the Delaware District Attorney’s Office and Pennsylvania Attorney General’s Office. 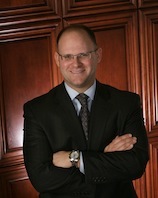 Jason was recently selected as one of the "Top 100 Trial Lawyers" in Pennsylvania. Jason has handled several high profile cases that have been featured on NBC 10 Philadelphia, 6ABC Action News, CBS Philly, the Philadelphia Inquirer, the Delaware County Daily Times, Chester County Daily Local News and the Miami Herald. Jason’s philosophy that has led to success has been simple yet effective; believe in what you say and never practice law scared of anybody. It has never been in Jason’s vocabulary to quit or back down. Having been raised in a blue collar family, Jason knows what it is like to struggle, and lives to represent the underdog and win. He believes that everyone should get a fair shake in the courtroom and in life. When Jason is not working, he enjoys spending time with his children, playing guitar, mountain biking, hiking, attempting to surf and watching football. *Past success is not a guarantee of success in future cases.